Mythical Books: Clean Wholesome Romances $100 Giveaway (3)– Enter to win PayPal Cash or an Amazon Gift Code! 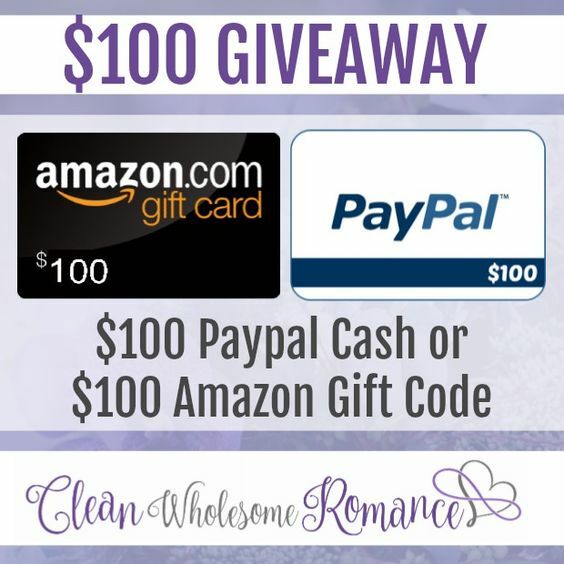 Clean Wholesome Romances $100 Giveaway (3)– Enter to win PayPal Cash or an Amazon Gift Code! These are my favorite giveaways! I get to share great authors I love and give you the chance to win $100! I’m excited to bring you another $100 giveaway sponsored by an AMAZING group of authors who write clean romance. Just look at this list. There is a great combination of longtime favorites mixed with new found friends. Each of these authors writes clean wholesome romance that meets my other site’s definition of clean!